A lively meeting of the claret-and-blues at the Boleyn last night resulted in a fine win for Zola’s lads; a much-needed and overdue win too. Zavon Hines popped up – not literally – to score a late winner, after goals by Mark Noble (pen) for the hosts and Ashley Young for Villa. And boy am I glad to have Hines in my fantasy team! 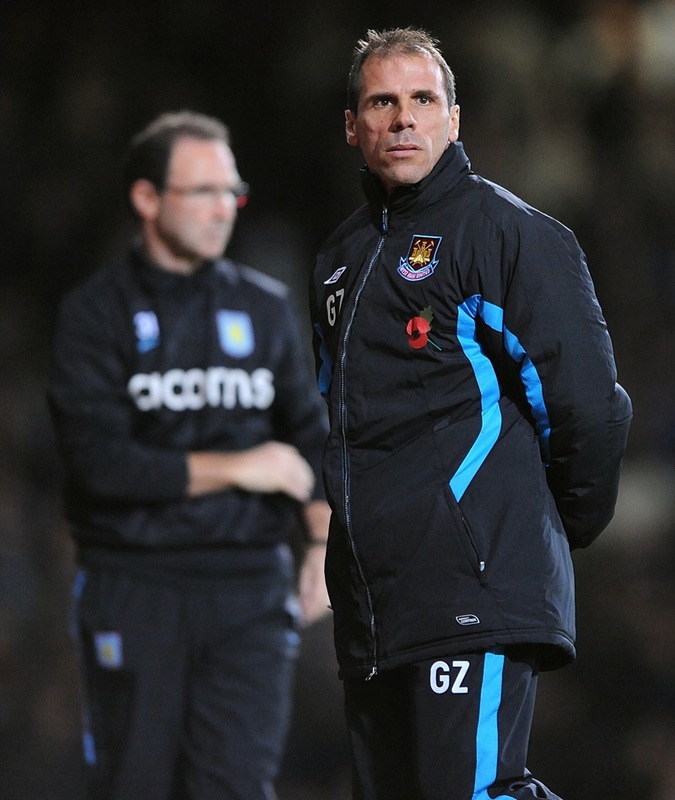 West Ham United manager Gianfranco Zola (right) and Aston Villa manager Martin O'Neill (left) on the touchline. And he plays for West Ham, not Villa. Sorry, the captions are by PA, not me. Doh.